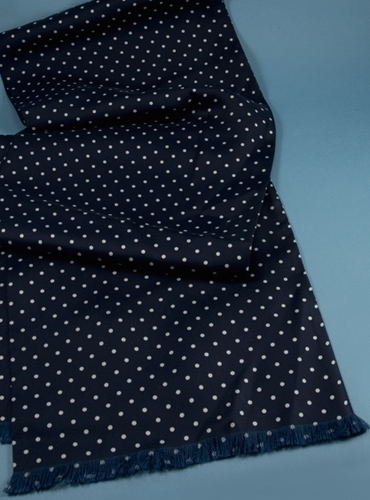 Elegant silk scarf in navy with white dots. 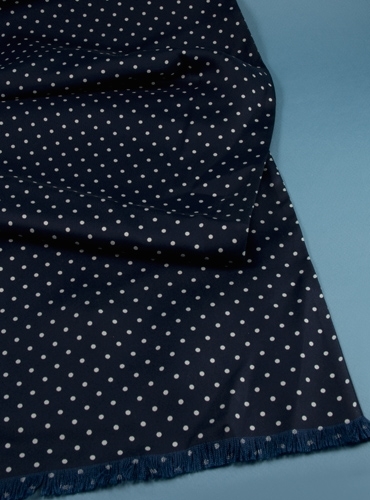 The perfect finishing touch to your formal evening attire. Dimensions: 68" x 9.5"